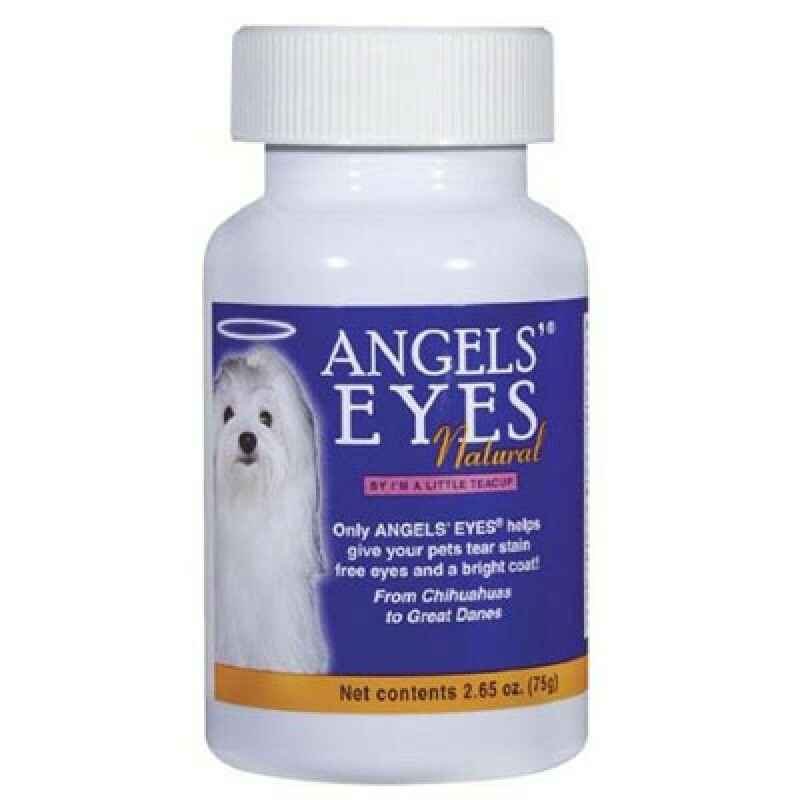 Angels' Eyes® Natural is made with All Natural Active and Inactive Ingredients. The active ingredients in Angels' Eyes® Natural are a proprietary blend composed of natural antioxidants, antibacterial, and anti- inflammatory properties. Angels' Eyes® Natural is extremely Flavorful and may help keep tear stains away by reducing oxidation released through tear ducts. Only Angels' Eyes® Natural helps give your pets tear stain free eyes and a bright coat naturally! Cautions: Safe use in pregnant animals or animals intended for breeding has not been proven. Absorption of drugs taken simultaneously may be delayed. If animal's condition worsens or does not improve, stop product administration and consult your veterinarian. Warnings: For animal use only. Keep out of the reach of children.